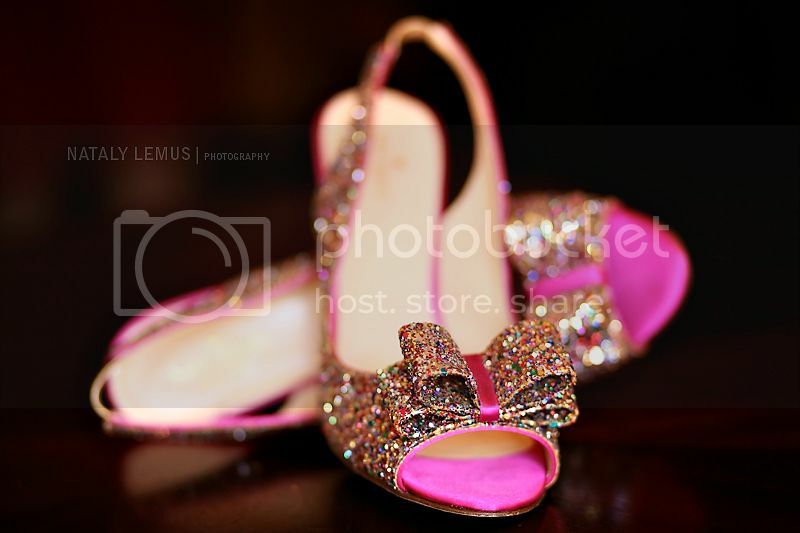 Or how about these rhinestone shoes? How about making your shoes your something blue? Totally in love with these Badgley Mischka! 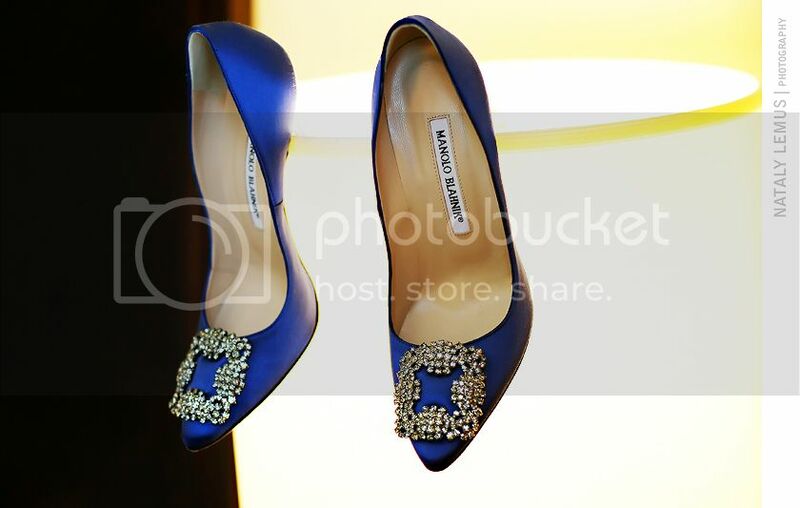 I love how bright these Manolo Blahnik shoes are! 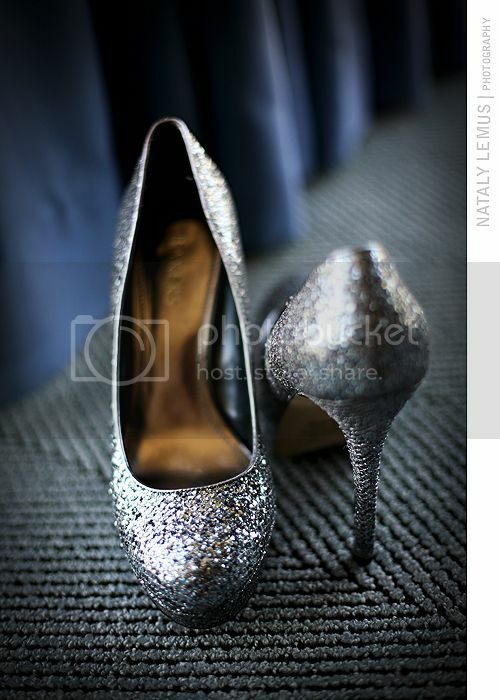 I love, love, love anything glittery, so it's no wonder I am in love with these babies! And these Kate Spade shoes! 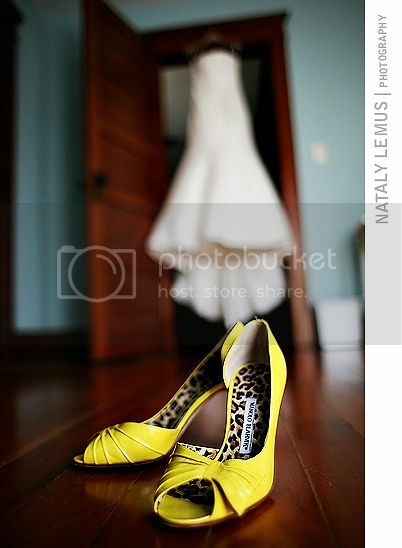 - You should try to buy your shoes before your first dress fitting. That will definitely be useful to determine how long/short your gown should be. 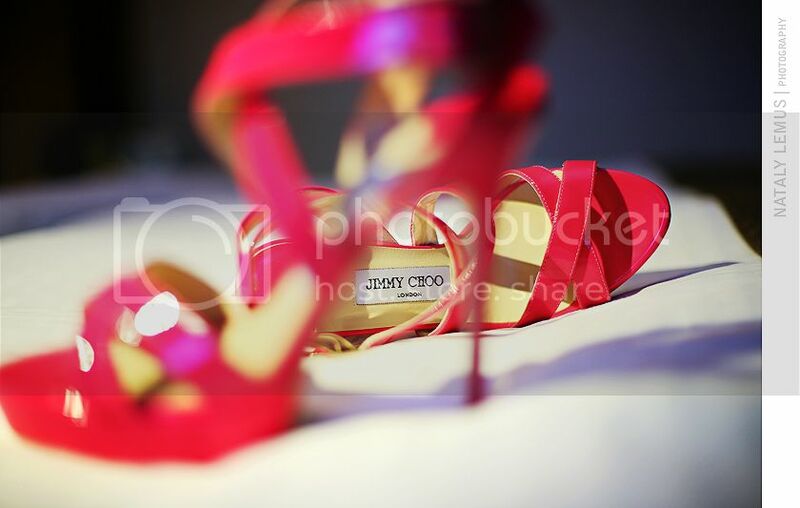 - Also, some of the most glamorous and beautiful looking shoes can also be the most uncomfortable, unfortunately. It's a good idea to have some back up shoes for dancing, unless you can work those heels for 12 hours straight, in which case you are my idol! - Last but not least, remember to break in your shoes! I'm sure you want them to look nice and new for your wedding day, but it's super important to break them in so you can be as comfortable as possible. Walk with them inside your home for small periods of time to prevent getting them dirty. I would say walking in them for about 10-15 minutes every day for 2 weeks will do the job. You definitely don't want to take them outside and risk getting them dirty. Yay I saw my shoes on there! 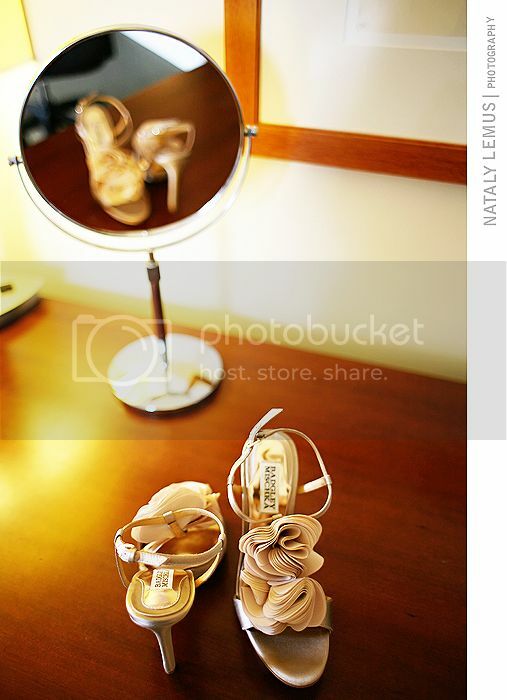 I like that your posting every day, now I can get my Nataly Photography fix daily! @Hope I remember your shoes! I loved them! Hopefully these tips were useful to someone. 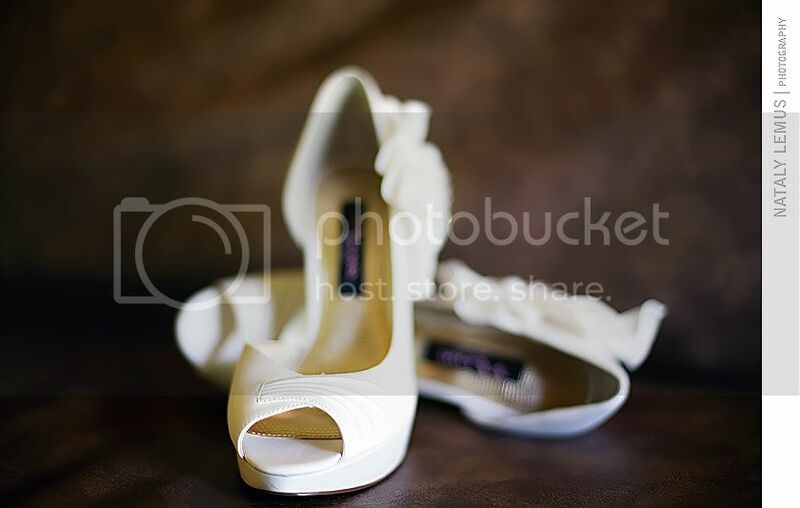 I also have love for simple, classy white wedding shoes and bridal shoes. I might also want to click some photographs as you clicked. It is very awesome to watch such a wonderful collection on a blog. 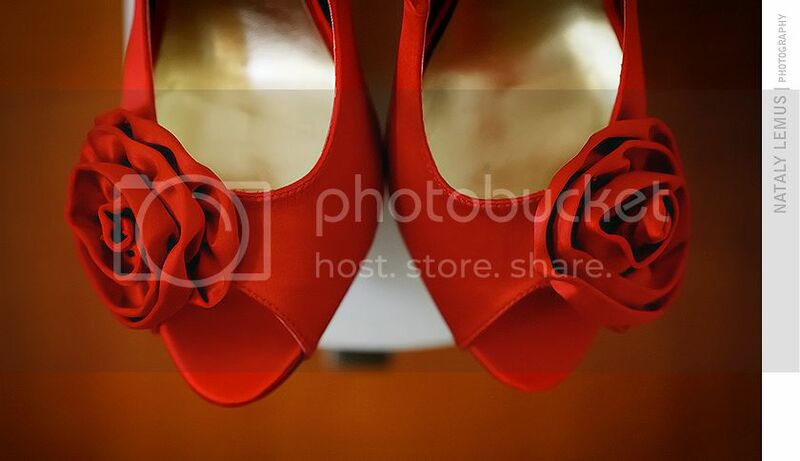 I Love bright red shoes.Those wedding shoes are really elegant and unique. I so like it. The styles are really awesome. I love the ribbon designs on it.